Fully 40 years after a plane hijacking that shocked Germany, a Boeing 737 finally returned to that nation last month. Getting the dilapidated jet home required taking off the wings and slipping the fuselage into a massive Antonov transporter. Forty years after a plane hijacking that shocked Germany and gained worldwide attention, a Boeing 737 finally returned to that nation last month. The German foreign ministry bought the dilapidated and dirty 737-200 in July for about $24,000 so that it could be restored and put on display as a symbol of a free society, undefeated by terror. 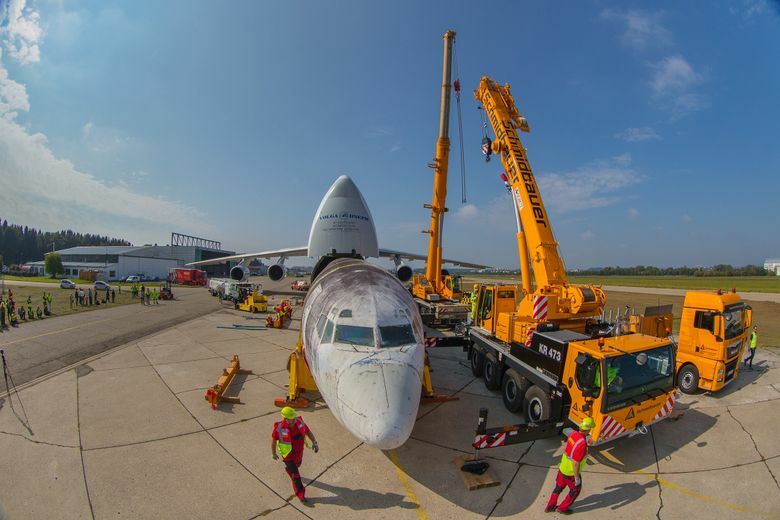 Former crew members from the 1977 flight joined German government officials and airplane enthusiasts in late September to give an emotional homecoming to the plane. 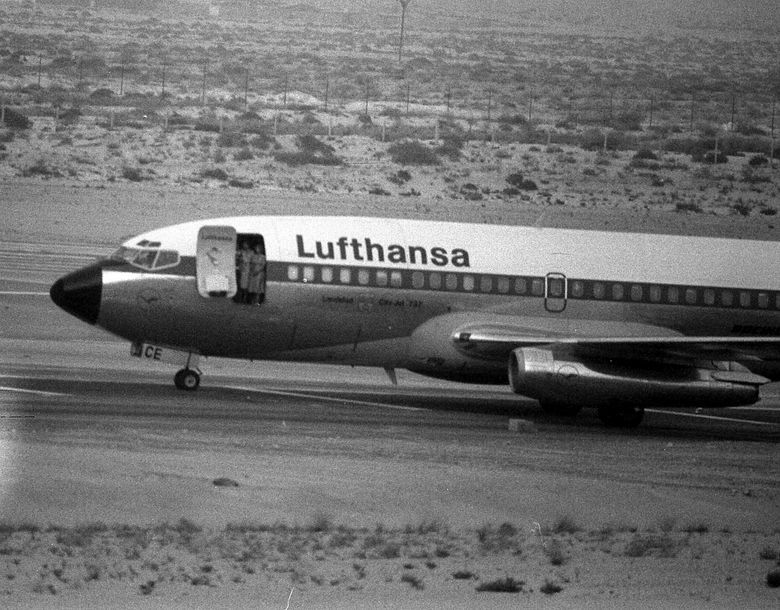 Operated by German flag carrier Lufthansa, Flight 181 was hijacked on October 13, 1977 while flying tourists from Palma, Mallorca, to Frankfurt. Four members of the Popular Front for the Liberation of Palestine took over the plane and demanded that Germany release prisoners belonging to the allied Red Army Faction, West Germany’s own far-left terrorist group. In a four-day ordeal, passengers and crew were forced to travel to Rome, Cyprus, Bahrain, Dubai and Aden before reaching the final destination of Mogadishu, Somalia. The terrorists killed the aircraft’s pilot, Jürgen Schumann, while stopped in Aden, a city in present-day Yemen. In Mogadishu, a German special forces team stormed the plane, killed three of the hijackers, wounded and captured the fourth, and freed the 86 passengers and the four remaining crew. The Boeing 737-200 eventually went back into service and was later sold, ultimately flying for the Brazilian airline TAF Linhas. It was decommissioned in 2008, then abandoned at Fortaleza Airport in northeastern Brazil. The plane, which had deteriorated over the years, was delivered by air in large pieces back to Germany from Brazil. 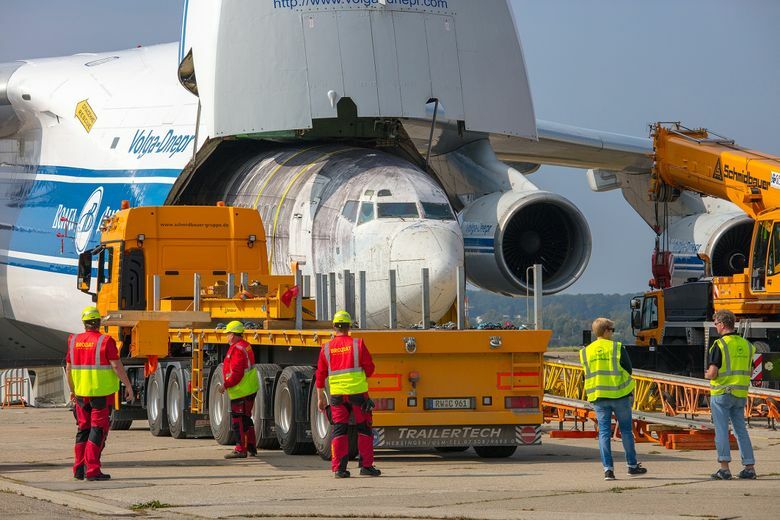 The complete fuselage and wings were separately tucked into a giant Antonov An-124 cargo plane operated by Volga-Dnepr Airlines of Russia. Volga-Dnepr’s smaller Ilyushin Il-76 carried the 737’s engines and passenger seats. The 737’s final resting place will be an aviation museum in the city of Friedrichshafen.